For equal parts luxury, utility, and classic SUV performance, you’ll want to be driving a new Mercedes-Benz GLC–and you can find a wide inventory right here at Mercedes-Benz of Warwick. If you’re located in the East Greenwich area and want to see your options in person, visit us in Warwick today! Browse our inventory below, and don’t forget to explore our lease specials and finance offers to make sure you don’t miss out. Comes equipped with: Lunar Blue Metallic, Silk Beige/Black Mb-Tex, Mb-Tex Upholstery. LOADED WITH VALUE! Comes equipped with: Polar White, Silk Beige/Black Mb-Tex, Mb-Tex Upholstery. This Mercedes-Benz GLC also includes Air Conditioning, Clock, Climate Control, Tachometer, Dual Zone Climate Control, Cruise Control, Homelink System, Privacy Glass/Tinted Windows, Power Steering, Telescoping Steering Wheel, Steering Radio Controls, Power Mirrors, Lthr. Steering Wheel, Driver Airbag, Passenger Airbag, Intermittent Wipers, Side Airbags, Rear Defogger, Security System, AM/FM, Anti-Theft, CD Player, Bluetooth®, Rear Wipers, Center Arm Rest, Remote Trunk Lid, Vanity Mirrors, Heated Mirrors, Rear Fog Lamps, Child Proof Door Locks, Daytime Running Lights, Reverse Camera, Side Curtain Airbags, Roll Stability Control, Power Lift Gate, Tire Pressure Monitor, Carpeted Floor Mats, Overhead Console, Aux. Audio Input, Front Heated Seats, HD Radio.LOADED WITH VALUE! This Mercedes-Benz GLC also includes Air Conditioning, Clock, Climate Control, Tachometer, Dual Zone Climate Control, Memory Seat Position, Cruise Control, Homelink System, Privacy Glass/Tinted Windows, Power Steering, Telescoping Steering Wheel, Steering Radio Controls, Power Mirrors, Lthr. Steering Wheel, Driver Airbag, Passenger Airbag, Intermittent Wipers, Side Airbags, Rear Defogger, Security System, AM/FM, Anti-Theft, CD Player, Air Conditioned Seats, Bluetooth®, Rear Wipers, Center Arm Rest, Remote Trunk Lid, Vanity Mirrors, Heated Mirrors, Rear Fog Lamps, Child Proof Door Locks, Daytime Running Lights, Front AC Seats, Reverse Camera, Side Curtain Airbags, Roll Stability Control, Power Lift Gate, Tire Pressure Monitor, Carpeted Floor Mats, Overhead Console, Aux. Audio Input, Front Heated Seats, HD Radio. Why Buy a New GLC at Mercedes-Benz of Warwick? 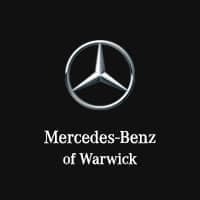 At Mercedes-Benz of Warwick, we know all things Mercedes-Benz. Whether you’re looking to buy or lease a new vehicle, trade in your current vehicle, get service on any vehicle (regardless of make and model), or anything under the automotive spectrum, our team is ready to help.